Markets around the globe are retrenching some hard-fought gains in lockstep with the rapid decline of crude oil prices. The drop in crude prices is nothing short of a crash thanks to Saudi Arabia, Iran, Kuwait and other smaller oil-rich nations that are bringing oil to markets as low as $10 per barrel. They are attempting to orchestrate a strategy to curb U.S. production from the shale energy boom that has the U.S. importing the least amount of oil in the past 10 years. While consumers are cheering lower gasoline prices, currently averaging $2.50 per gallon on a national basis, stock investors are feeling pain from how the market is responding to cheaper fuel. The market is viewing the free fall in oil prices as a net negative for global growth. Whether this perceived notion of oil is pointing to a global slowdown or whether the market has it wrong and this is simply a supply glut that will act like a massive catalyst for global economic growth isn’t known, as the oil correction has been so swift. What is clear from watching the tape is that the “global slowdown” camp has the upper hand because of the implied threat of deflation that has already driven many other commodity prices to decade lows. It is widely known that the Federal Reserve, the European Central Bank and the Bank of Japan are targeting a 2% annual rate for inflation that supports prices and profit margins and wage gains, all necessary for any economy to stand on its own. So far, this 2% inflation rate has been elusive for these three hugely pivotal developed economies that support most of the world’s export markets. It was reported over the weekend that China’s economy may slow to 7.1% in 2015 from an expected 7.4% this year as a sagging property sector weighs on the world’s second-largest economy. Stronger global demand could boost exports, but not by enough to counteract the impact from weakening property investment. China’s economic growth came in at 7.3% in Q3, its slowest pace in five years. Also of note, Japanese stocks have retreated, drawing little momentum from Prime Minister Shinzo Abe’s landslide win in a snap election over the weekend. The Nikkei, which recently hit a seven-year high, is down about 3% in the last couple of sessions to 16,755 as oil prices sank, hitting energy and commodity stocks and exporters. On the other hand, the drop in oil prices to current levels, now around $56 per barrel, is the equivalent to a $100 billion stimulus package to the U.S. economy alone and is considerably more significant to Europe and Japan, which have no energy assets to speak of. When the market does eventually figure this out, and I firmly believe this will be the case, the upside for all non-energy related asset classes will be significant. Providing a timeline as to when that decoupling occurs is something every market advisor is burning a lot of late-night oil over. Being in the midst of another market pullback doesn’t make it easy for any long position to hold price, and few would have expected to be enduring a 4% slide for the S&P 500 when the U.S. economic data supports rising GDP growth, a firming job market and a faster pace of consumer spending and planned future business investment. The correction underway prompted investors to sell out at these low levels, primarily out of sheer fear. My advice is: Do not let market corrections divert your long-term focus on positioning capital in high-yield assets that make fundamental sense. Fear and uncertainty cause market chaos but usually for reasons that are short-lived. Bryan Perry is the editor of Cash Machine, a newsletter focused on high-yield income investing with the goal of maintaining a blended total yield of 10% across two portfolios. And most recently, Bryan introduced Cash Machine Trader. With this service, he’s increasing the income stream potential even further by using covered call writing strategies to generate yield in the form of option premium — on top of capital appreciation income from well-known stocks. 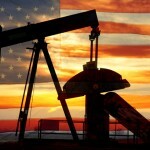 Article printed from InvestorPlace Media, https://investorplace.com/2014/12/falling-oil-prices-good-bad-ugly/.